The 4th Annual Nashville Beer Festival will be held two weeks from today, on Saturday, September 20 from noon-6 pm at East Park (in East Nashville, close to downtown). 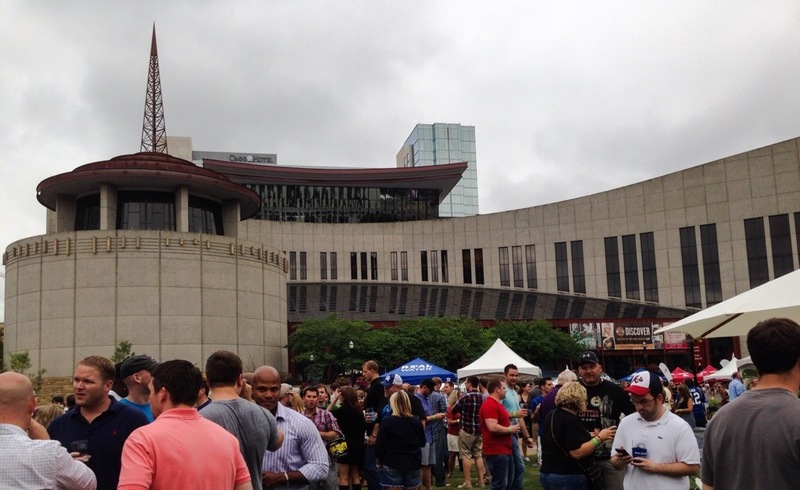 This is the last major beer event of the summer in Nashville (fall starts 3 days later). Some dozen local breweries will participate, joining more than 30 other breweries from around the region, nation, and abroad. The complete list can be found here. Food will be available from at least six vendors (listed on the festival website) and there will be live music and other activities. Tickets to the Nashville Beer Festival are $45 or $20 for designated drivers, and may be purchased here. If I don’t get this down while the blur is still fresh in my mind even more of it will slip away. Last Saturday evening I attended Session B (and they don’t call it a session without reason) of the 13th Annual Mafiaoza’s Music City Brewers Festival downtown. Thousands? (I don’t have any actual numbers but it was crowded) of folks attended the event which included representatives from most local breweries, many from out-of-state, and a few from other countries: more than 60 in all. In addition to being Independence Day in the United States, today is also The Session, a monthly group beer blogging event that was started in 2007 by Stan Hieronymous at Appellation Beer and Jay Brooks at Brookston Beer Bulletin. The Session occurs on the first Friday of every month; this month’s host is Bill Kostkas over at Pittsburgh Beer Snob. The topic of this month’s Session is: Beer in History. 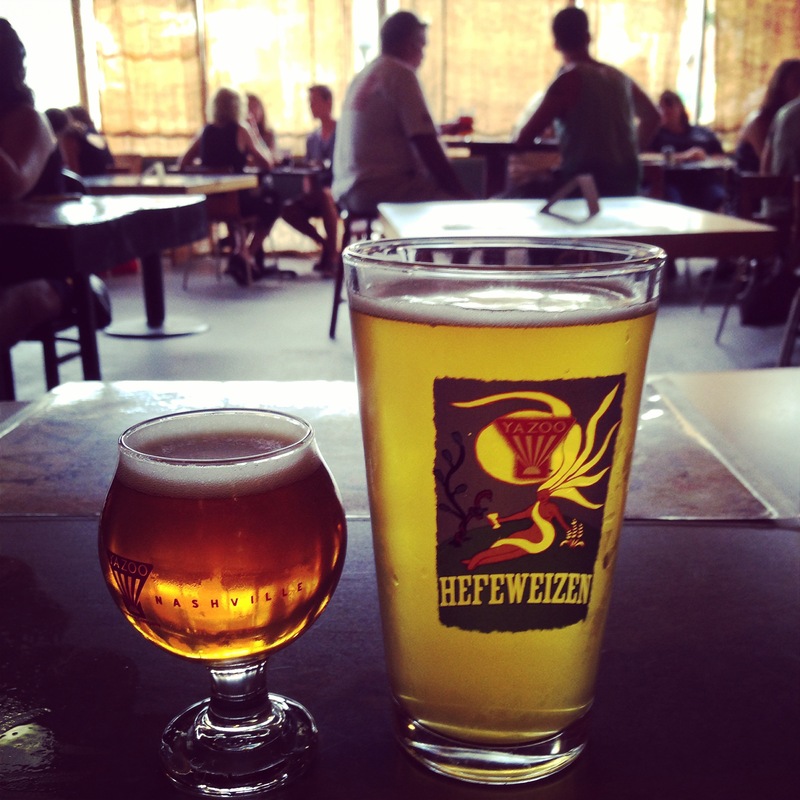 Nashville’s first commercial brewery – simply named The Nashville Brewery – was founded in 1859 by a Jacob Stifel on the corner of High and Mulberry Streets. Several other brewing concerns and bottling companies operated in Nashville in the late 19th century, but it was Stifel’s brewery that, after several changes of ownership, became The William Gerst Brewing Company in 1893. The Gerst brewery grew to dominate the beer industry in Tennessee and throughout the American South in the early years of the 20th century, producing as much as 200,000 barrels annually and employing hundreds of people. I will drain that glass again. What care I how time advances? I am drinking ale today. Bosco's Restaurant & Brewing Co.